3 Oak timber is milled and manufactured in Central/Eastern European Oak to the highest possible standards. Industry standard grading differs from manufacturer to manufacturer so we have developed our own grading specification that we adhere to, that meet British Standards. 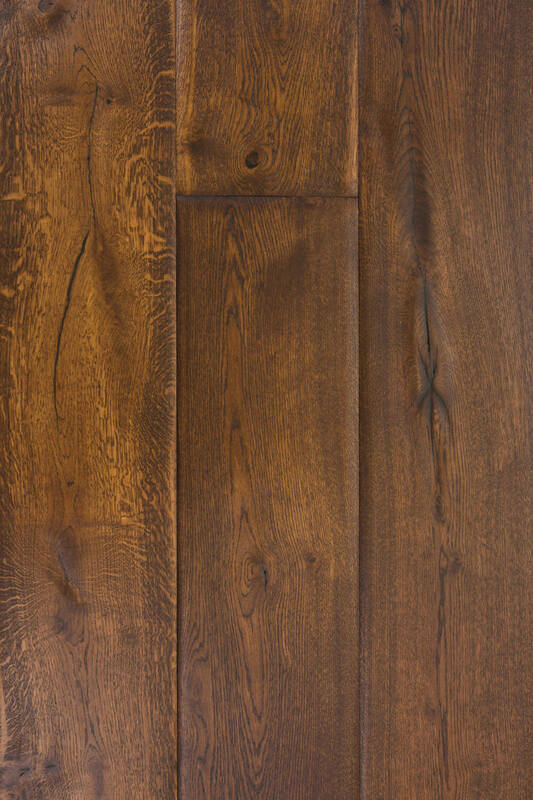 Only the best quality materials are used for our Oak flooring. Each board is carefully selected during production by eye and sorted into the corresponding grade. As a rule, the more knots a board has the lower the grade. 3 Oak have over time, finely tuned our grading specifications working closely with our production mill to deliver a tightly controlled grading specification that we are confident is above the industry standards. Prime is the top grade of Oak Flooring, it is cut from the inner part of the log. Only pin knots that are up to 5mm in diameter limited to 3 pin knots per board. A feature of this grade is that it has a very clear, uniform colour spread. Edge sap wood is not permitted within prime grade and this reduces colour variation across the board, however as with all natural wood, colour variation is to be expected, irrespective of grade. Nature grade, is just below prime grade. This grade will contain boards that are just outside our prime grading specification. Knots are slightly larger, allowed up to 20mm in diameter and limited to approximately 1 knot per board. Nature has more of the natural features allowed such as dead knots and cracked knots, but remains a very clean consistent grade, for those who are seeking a floor with more character than a prime board offers. Character grade or Rustic A contains a nice selection of natural knots and defects. These boards tend to have a bit more colour variation than Prime and Nature, the contrast of more varied grain patterns and more of the natural Oak features, makes it our most popular of wood floor grades. Character grade has a wonderful mixture of healthy knots, joinery repaired knots, filled cracks and filled knots. Benefits of this grade are that the flooring has more features than Prime or Nature, while still offering an overall natural and smooth look. Rustic grade or rustic B/C, tends to be the most abundantly available raw material available from each log while cutting. Our Rustic grade permits most of the natural features within the Oak tree, with unlimited larger sized knots and surface cracks exhibiting a wider colour variation and grain patterns. While more natural features are displayed, the result is a floor that has bags of character, while not compromising on quality. This beautifully handcrafted Antique floor, with hand scraped cracks, shrunk knots and sporadic saw marks is made using the Oak trees rustic features. In appearance, this floor has a textured, wavy like surface with undulating curves. The depth of colour and texture are highlighted by the hard and soft grain patterns, that form around the knots. The finished floor oozes style and character.